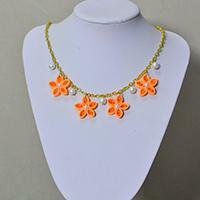 If you are searching for flower necklaces, you may get some inspirations from today’s Pandahall tutorial about how to make girl’s chain necklaces with quilling flowers. This DIY necklace tutorial is to tell you how to make gold chain necklace in an easy 2-step method with round black beads. 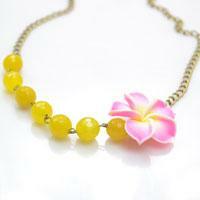 This instruction is to make a long pearl chain necklace for office lady. Simple and fashionable! Let’s make a multifunctional bead and chain jewelry which can be worn as long necklace, multi strand bracelet and cool hair accessory! 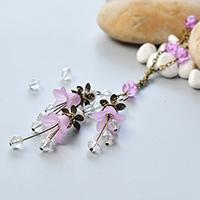 Go and find details on this handcrafting chain and bead jewelry. 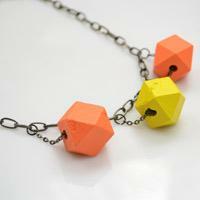 It is a cool link chain necklace, do you agree? 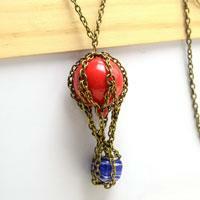 This tutorial aims to show you how to make a long chain necklace! 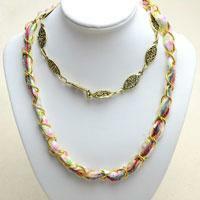 With 10 minutes, you can get this multi strand chain necklace. 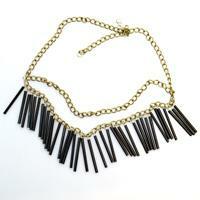 Today I am going to show you a tutorial on making an icy black fringe necklace with bugle beads. Come and follow me! 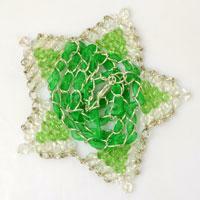 Today I’m going to demonstrate an easy jewelry making idea to you. 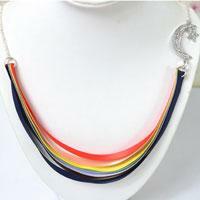 It’s mainly about how to make a rainbow ribbon necklace with chains. It will be a big surprise to you! I’m excited to share an advanced DIY chain and bead necklace project here.Check this wonderful summer necklace and you will find it is a great redesign jewelry idea! 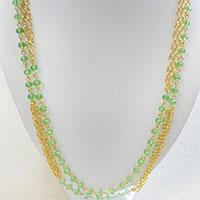 This sparkling DIY gold chain necklace can be a great gift for woman on holidays! 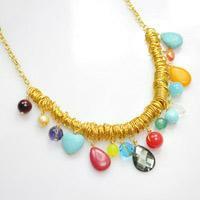 Let’s see how to make a multi strand necklace. It is simple and funny! 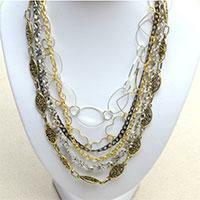 Within simple 3 steps you can make this Tibetan style statement necklace with chunky chain, rhinestone chain and various metallic charms. 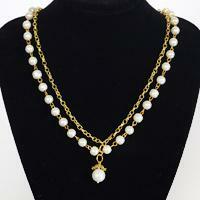 In this pearl chain necklace, my favorite version is always the one mixed with a strand of chain and fringe! 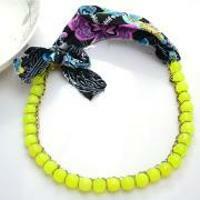 That must bring lots of fun while whip this pearl and chain fringe necklace diy item up! 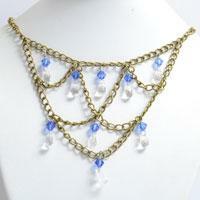 Learn to make your own V-shape skirt collar necklace adapted from a chain woven necklace. No glue, no sewing, but merely a stack of connective bead tips are required! 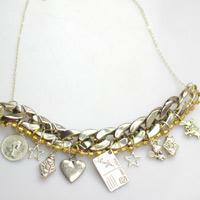 This tutorial is going to introduce you how to make a shiny charm necklace with golden jump rings and various briolettes. This project aims on how to make a custom necklace that inspired by a movie, and in it, the highlight is a flying house. Has that reminded you of some plots? 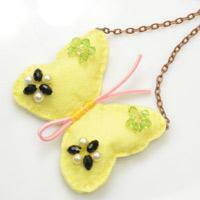 This tutorial is going to show you how to make a lovely butterfly necklace with pearls and glass beads. Hope you enjoy this project.